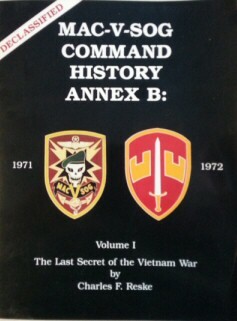 Military History Books, MAC-V-SOG COMMAND HISTORY ANNEX B: 1971-1972 VOLUME I LAST SECRET OF THE VIETNAM WAR,Charles F. Reske,Alpha Publications,ISBN 0939427605, VOLKSWAGENS OF THE WEHRMACHT,Hans-Georg Mayer-Stein,Schiffer,ISBN 088740684X,Kubelwagen,Schwimmwagen,KdF-Wagen,The Beetle, GERMAN FLAK IN WORLD WAR II,Werner Muller,Schiffer,ISBN 0764303996, WAR OF THE U-BOATS: BRITISH MERCHANTMEN UNDER FIRE,Bernard Edwards,Pen & Sword,ISBN�978184415501, HIMMLER'S BOSNIAN DIVISION: WAFFEN-SS HANDSCHAR DIVISION 1943-1945,George Lepre,Schiffer,ISBN�0764301349. The story of the elite of the elite of the United States Special Forces in Vietnam. Military Assistance Command, Vietnam � Studies and Observations Group (MACV-SOG) was a highly classified, multi-service special operations unit which conducted covert unconventional warfare operations prior to and during the Vietnam War. The mission of the Special Operations Group was classified top secret, and this book details the CIA's incredible plans to destroy the communist enemy. It was Previously only read by very few specially cleared, senior U.S. officials. Card cover with slight creasing at edges and on a few early pages - Large Format 353pp, charts, maps, tables. 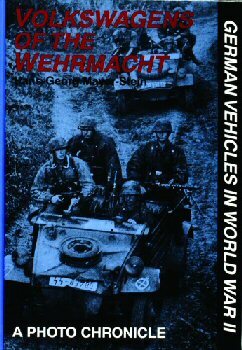 An extensively illustrated study on the use of the various Volkswagen types in the WWII German Armed Forces. It includes the numerous variants, and specialist types such as the Kubelwagen and the amphibious Schwimmwagen, as well as a military derivative of the original KdF-Wagen - The Beetle. A concise, illustrated study of German Flak guns with numerous photographs, largely unpublished to date. 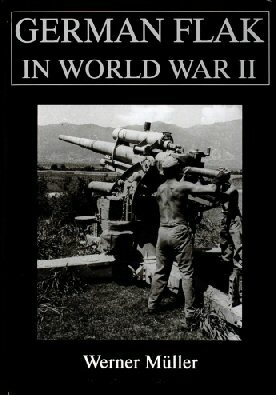 The book includes the use of Flak guns on all fronts in both air and ground roles, with full details of 37mm, 105mm, 128mm and 88mm weapons as well as listening devices, searchlights and Flak aiming devices. From the earliest days of the Second World War, Hitler's U-Boats were unleashed with the mission to sink as much Allied merchant tonnage as possible. From the sinking of the Glasgow-based ship, Olivegrove by U-23, to the end of hostilities, officers and seamen of the Merchant Marine played a key role in winning the war. The most dangerous were the U-Boats but there were also surface raiders and aircraft. 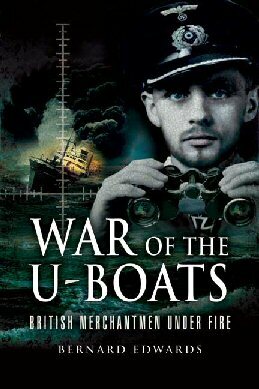 All too often the result was the tragic loss of the crew as well as the vital cargo, but as described in this book gallantry against overwhelming odds brought great rewards. 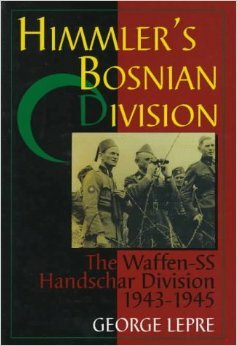 This is the story of the "Handschar", the Muslim combat formation created by the Germans to "restore order in Bosnia." Raised by the Waffen SS, they were used for anti-partisan operations in the Balkans and quickly developed a reputation. The division was commanded by German officers, and composed of native Germans from Croatia(Volksdeutsche), Croat Christians and Bosniaks, Muslims from Bosnia and Herzegovina.